Easy way to a neat watertight result. Alternative to gun and tube sealants. 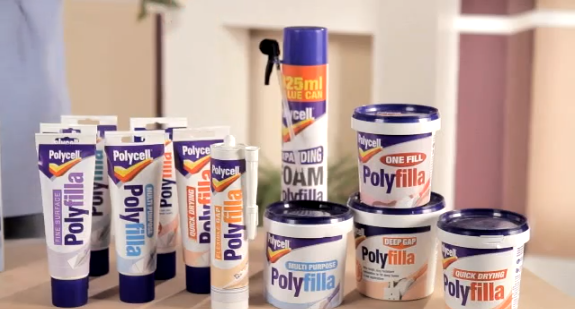 Flexible adhesive strip is easily wiped clean. Ensure all surfaces are clean, dry and free from oil and grease. 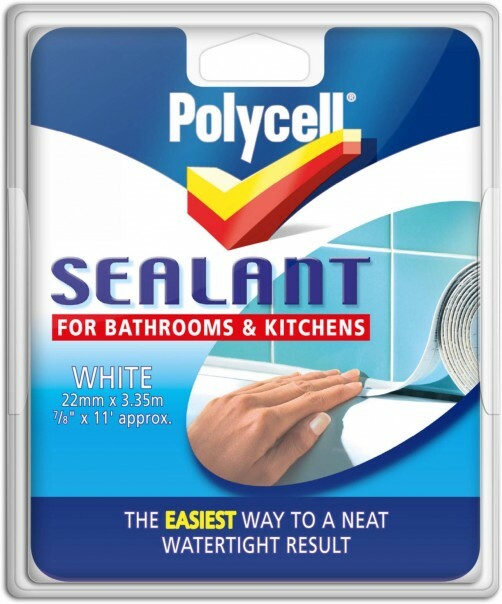 Strip away all traces of old sealant with polycell Sealant Remover and allow to dry. For surfaces which flex, such as baths – fill with water to usual depth before fixing sealing strip. Take care to avoid wetting surface. Cut the strip (with scissors) to the required length. Fold in half along the length with adhesive facing outwards. Remove a small section of the backing tape. Push the small section of exposed adhesive strip firmly into pre-pared area. Gradually remove the backing tape whilst carefully applying remaining length of the strip. To finish press firmly along length of strip.